"Medical Taiji" is not really different from Taiji as I have learned it from my teacher and the Classics. 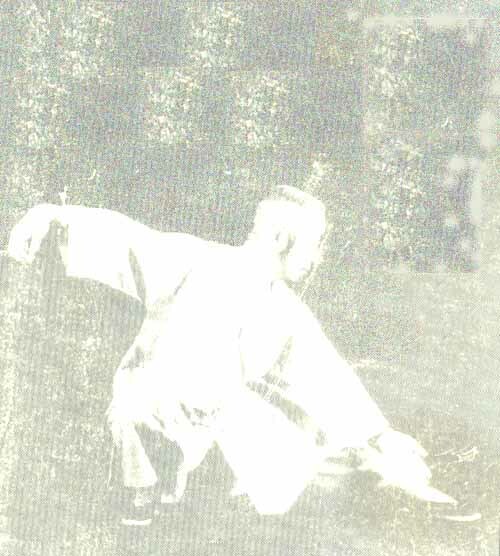 The only reason I have given it this name is that I will frame much of my commentary within the context of the structure and function of the body, both from the perspective of a sincere student of Taiji Quan and a physician with an interest in body-mind-spirit. I study the Cheng Man Ching (or in more universally understood pinyin, Zheng Man Qing) Yang style short form. Although I am only eleven years into my study, I have had the delightful opportunity to teach Taiji to seniors and others with health problems. Much of the material that appears in these pages are in response to questions that have come up in class. *Tai Ji is Pinyin, the most universally used Chinese phonetic system. There are other systems that have been popular at other times in history. That's why you will sometimes see this term written Tai Chi orTai Ch'i. Remember, this is not a Chinese word, it is a way of telling us how to pronounce the Chinese characters.